Hello Small World is an indie greeting card & illustration studio of colorful & quirky characters, sayings & feel-good cards. 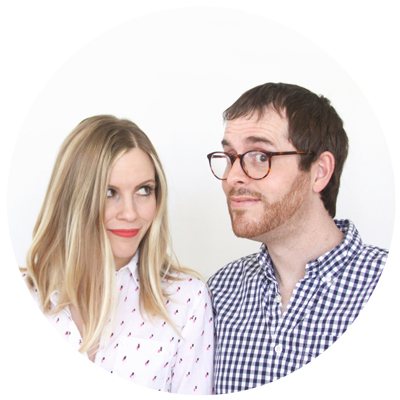 The duo behind HSW are the husband-and-wife team of Jon & Reese, who consume copious amounts of coffee while dreaming up the line that includes cards, art prints, calendars, tote bags, mugs, pencils, apparel, gift wrap & more. We happily accept wholesale orders! If you're interested in stocking our greeting cards & other various goods, please fill out a wholesale application here. We'd love to hear from you! → Check out our Etsy Featured Shop interview over on the Etsy blog. P.S. Sending snail mail isn't always eco-friendly, so all our cards are printed on at least 30% recycled cardstock and paired with 30%+ recycled envelopes to keep written correspondence a little green! Wander Often Wonder Always® & thanks for stopping by!